Enterprise collaboration is an evolving industry that continues to become more and more complex, especially for the IT professional. Long-gone are the days when you could simply pick up a phone, call someone and be done with a meeting. Today, collaboration for businesses combines multiple forms of communication – from traditional PSTN calling and e-mail to cloud telephony, web and IM/presence. As a result, decision makers are now faced with what seems like a flooded market and often don’t have a clear understanding of the best collaboration technology fit for their organizations. However, before we can dig into what an appropriate solution looks like, we must first identify the problems. 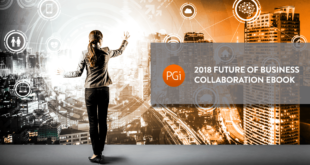 PGi recently caught up with Wainhouse analyst, Bill Haskins, who shed some light on the many IT concerns and trends that are affecting the Unified Communications (UC) market today. In this interview, Bill discusses the most proliferating problems around IT complexity and how finding a stable, high-quality product that fits all the minimum standards of employees today, is the first concern. For IT, this entails sitting through countless technology demos and strategically determining if the products presented are cost effective and can efficiently scale to their unique needs. The next, and often most critical, hurdles come with the deployment and implementation of the product. The struggles are determining if that solution can integrate with other technologies, doesn’t waste time and resources to maintain and is ultimately used by the employees. If user adoption, among other key factors, is not successful, then time and money is wasted. To provide the best UC experience for employees, IT teams must find a high-performing communications platform that has been tested thoroughly, can easily sync with existing technology solutions, takes on full deployment/support needs and ultimately helps improve ROI. Thankfully, PGi solves this dilemma and separates itself from the complex market today by providing a flexible portfolio that solves a multitude of unique communication needs for our clients, all backed by our 24/7 customer support and implementation team to guide employees to productive collaboration. This, as a result, helps maximize the IT investment of enterprises today.